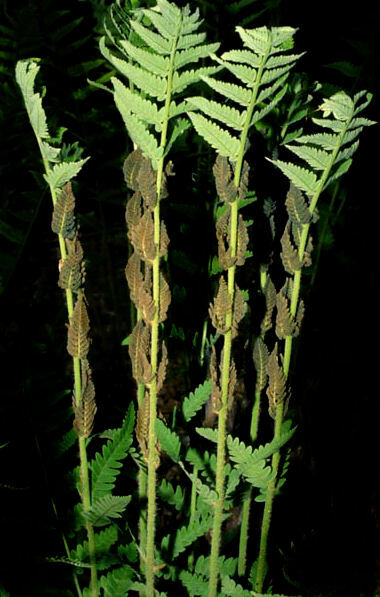 A slow-growing variety of royal fern, enjoying similar conditions to O. regalis, moist to wet soils. Named after the habit of the fertile fronds appearing between two lots of sterile fronds, giving a very distinctive appearance. Young fronds are pink and covered in fine hairs. In time a small trunk may develop, these rhizomes are the source of osmunda fibre, a medium for the growing of orchids.